The phrase isn’t particularly evocative, and its grammatical accuracy is questionable, but for most of the 36 million inhabitants of the Great White North (aka Canada), ‘We the North’ is instantly recognizable as the slogan for the Toronto Raptors – and a patriotic rallying cry. Their minute-long hype video delivers a hard-hitting message that the Raptors are not like the others, clearly defining what differentiates them. The Raptors are the only NBA team not based in the USA and the ‘We the North’ campaign started in 2015 to bring excitement to Canada’s single top-tier professional basketball team. It’s been hugely successful within Canada, even among non-sports fans. The slogan adorns sweatshirts and ball caps throughout the country and draws masses of fans to the NBA underdogs, but it holds no meaning beyond Canadian borders. Swedes, Norwegians, Danes and Finns are all equally from the north, but Nordic dwellers wouldn’t see this as a point of pride or distinction, nor would they brag about it. The author with Chloe Lackman, BBN coordinator at tag agencies. The success of ‘We the North’ is only possible within Canada – and it took an agency with deep local understanding to get that. As part of BBN, the world’s B2B agency, we have marketing specialists on five continents who really get their local cultures and understand the messaging that appeals within their markets. It’s true that B2B marketing is growing globally and keeps expanding through technology – but it’s still important to have a local touch. 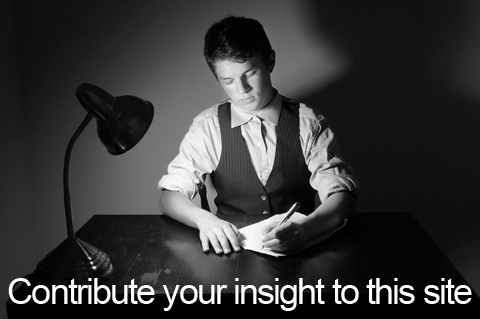 Branding and marketing strategies are useless if they don’t resonate with buyers you want to reach. And there’s no more sure-fire way to ensure that connection than working with experienced, trusted advisers on the ground in your desired markets. Where do you want to go today? Go North. 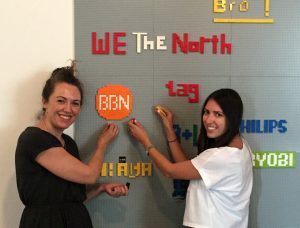 I recently visited tag agencies, our BBN partners in Toronto and the photo accompanying this post is proof of how prevalent the slogan is – it’s proudly displayed in their offices.